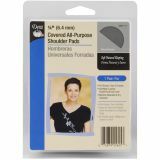 1/4" Covered All-Purpose Shoulder Pads 2/Pkg - DRITZ-Covered All-Purpose Shoulder Pads: 1/4 inch. 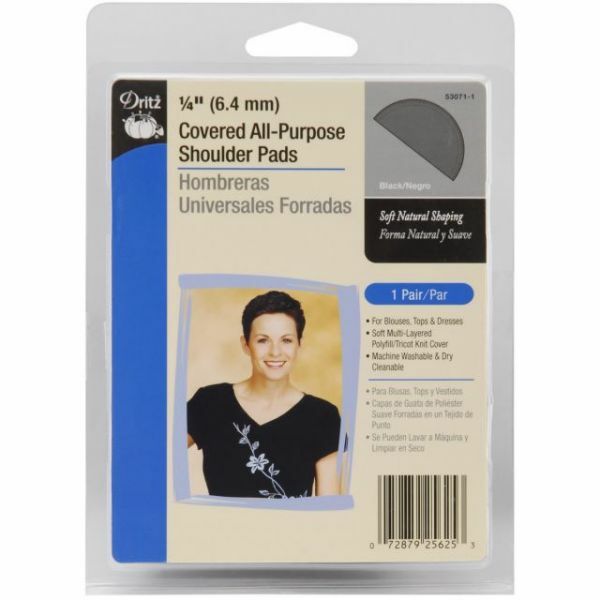 These shoulder pads feature multi-layered molded polyfill filling and a tricot knit cover. Use them in tops, dresses, and blouses. Machine Washable and Dry Cleanable. Color: Black. Each pad measures 5-1/2x3x1/4 inch. This package contains one pair of shoulder pads. Imported.